Things are coming back to life after the long dark winter and it’s about time to let in some fresh air. 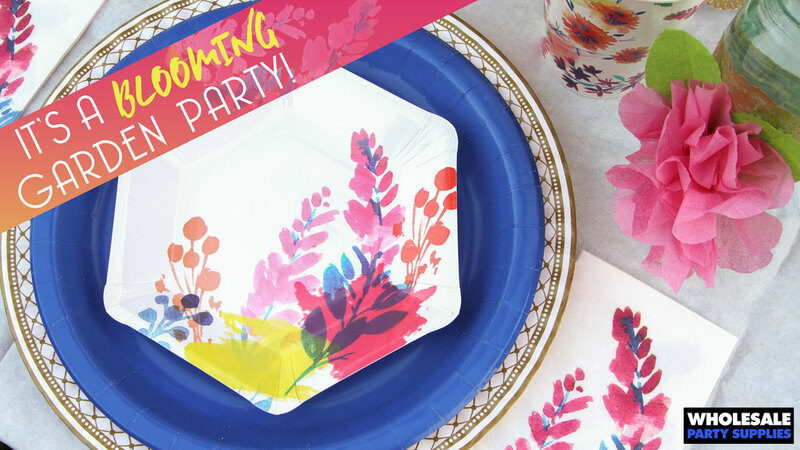 Or better yet, take your next party outside and make sure the flowers are blooming even if they actually aren’t! 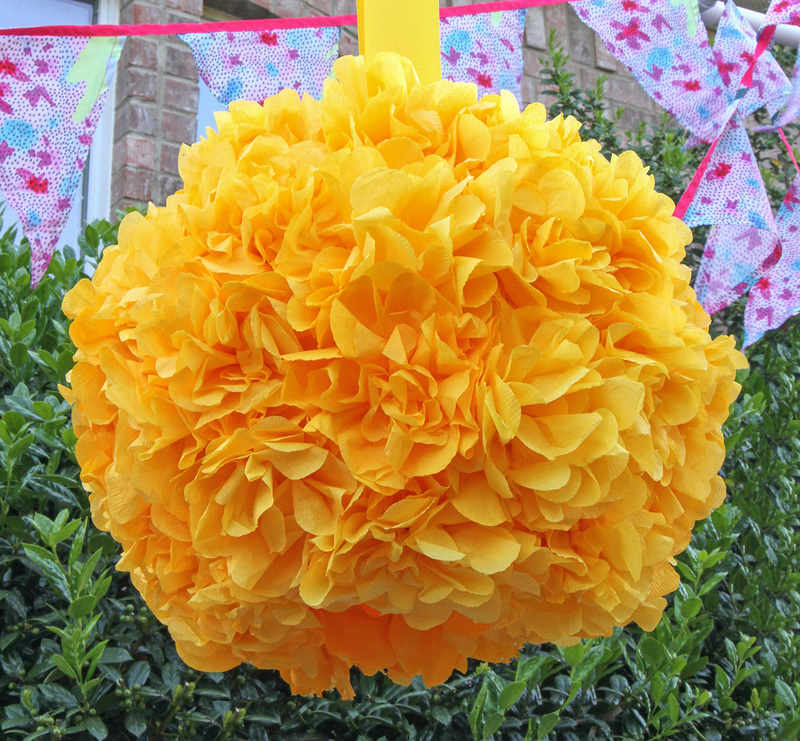 Here’s a bright and bold take on a traditional hanging flower ball. We’ve transformed everyday party napkins into delicate flowers then covered an ordinary paper lantern with them for a fresh spin. 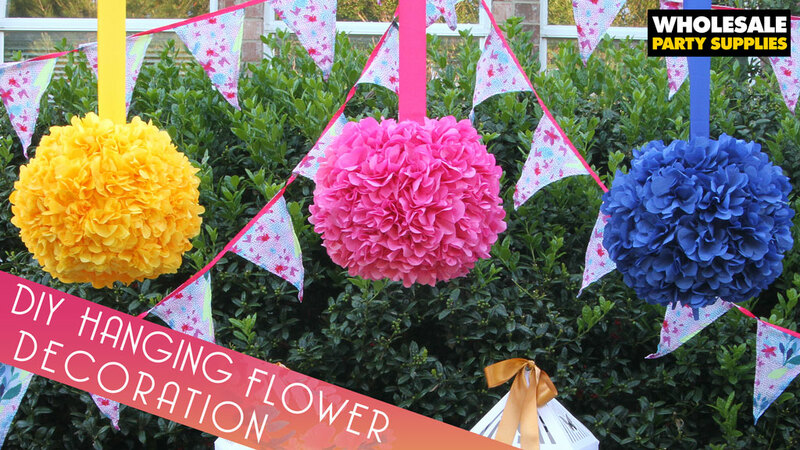 No need to spend the whole party budget on fresh flowers, just follow the steps below to create blossoms beyond belief and turn them into blooming globes of color! 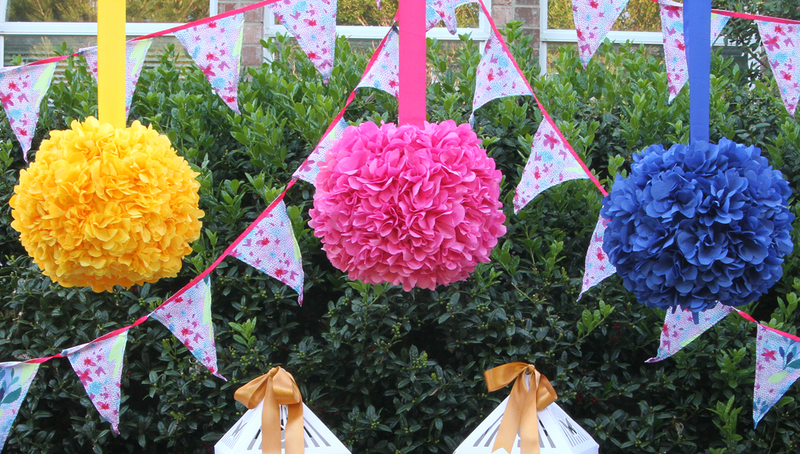 Plan a garden party of your own with tips from our Blooming Garden Party! 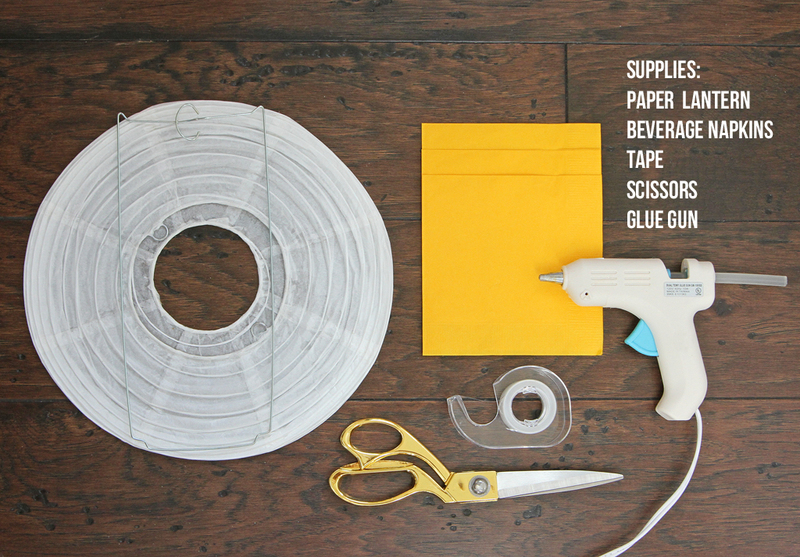 The supplies are basic and best of all, inexpensive. We used beverage sized napkins for our flowers here, but luncheon size is fine too. 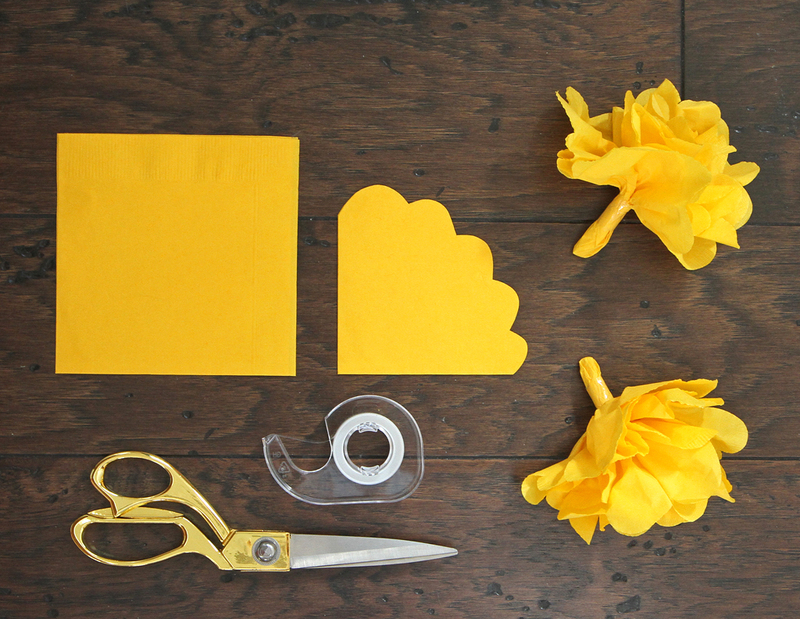 The bigger the napkin, the bigger the flower so just be sure your napkin choice is sized to fit your project. STEP 1- Make some flowers. Then make some more. And just when you think you should be done, make a few more. A nine-inch lantern will need approximately sixty flowers. 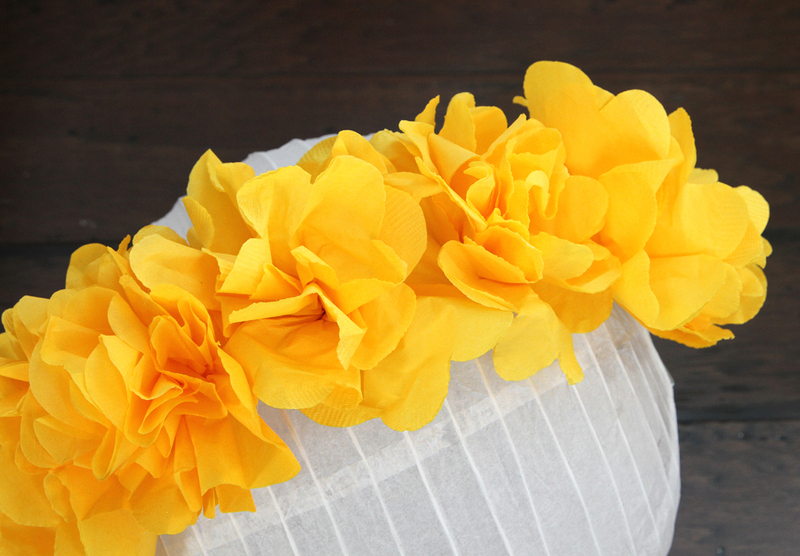 For a full tutorial on making napkin flowers, go HERE. 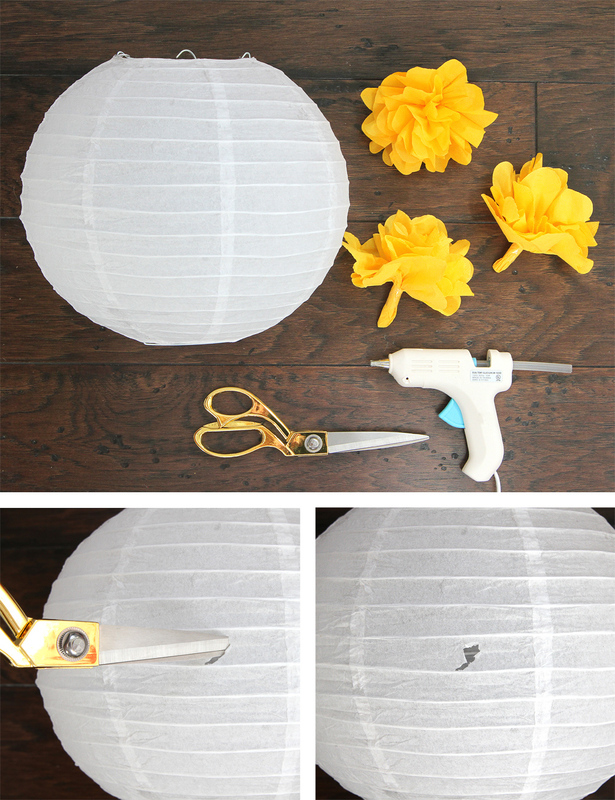 STEP 2- Use scissors to poke a hole just large enough for the flower stem in the lantern. STEP 3- Encircle the hole with hot glue then insert flower stem. Hold in place until firmly set. STEP 4- Repeat process with remaining flowers until the entire lantern is covered. Make a few more with extra lanterns. 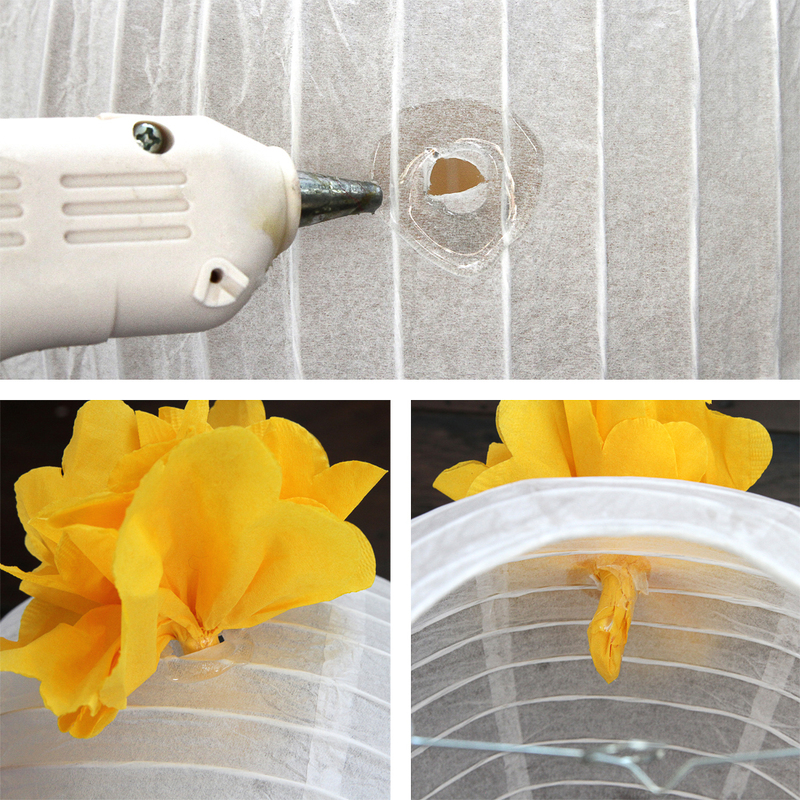 Hang flower globes with ribbon or monofilament.